Kærbygård loves wood as the fantastic natural material it is. 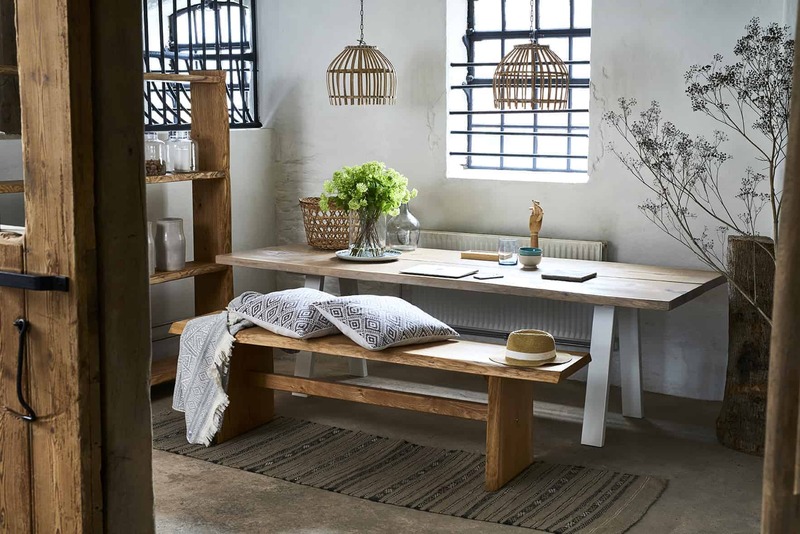 When you decorate your home with wood furniture, you invite nature itself inside your home, thereby creating an atmosphere of life, warmth, natural charm and sustainability. We take pride in selecting the perfect wood for each and every one of our furniture pieces. By doing so, the lives and history of the trees are told through the beautiful structures and grain patterns. When buying a plank table from Kærbygård you get more than a piece of furniture - you get a centerpiece for your home. We take care of the details and make sure the personality of the wood is visible. Our wood is cut and stored under correct conditions, ensuring your table won’t warp or break after you get it home. Our customers typically order the oak plank table because oak is a material that encompasses the spirit of Denmark. We mostly work with Danish wood types, particularly oak, and for this purpose, we grow our own oak forest. 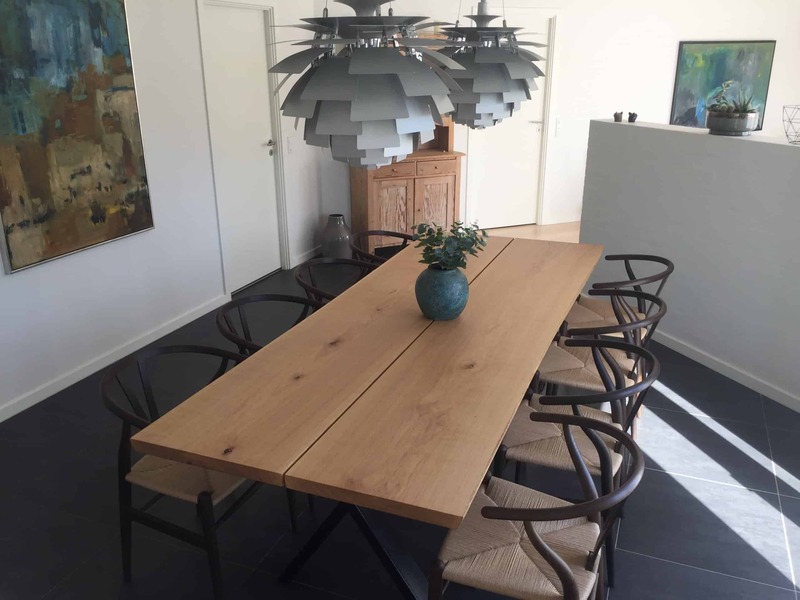 However, we are one of the few companies in Denmark that offer tables made of Danish elm. The reason for this is because we have been lucky to get our hands on a large stock of elm from before the outbreak of Dutch elm disease. Lastly, we also make tables in walnut. 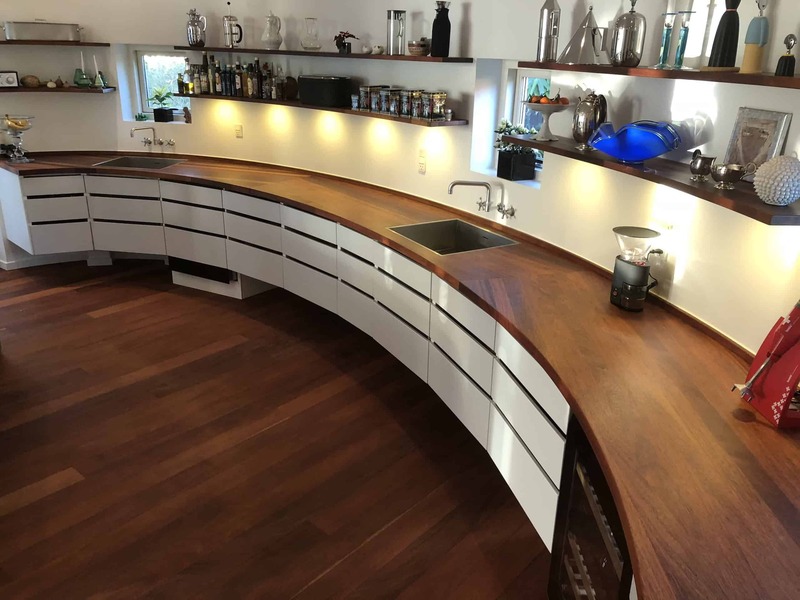 We mainly use American walnut but also Danish and European walnut. We also make and sell table legs for plank tables. These are perfect for giving old tables a more modern and fresher look. Are you dreaming of a carpenter-made kitchen? One thing is to create beautiful furniture out of wood, another is to create harmony between your furniture and your home. This really comes forth when we build customized kitchens. When we build your kitchen, we make it “melt” with the rest of your house. There is no need for you to compromise your wishes. The kitchen design will be based on the surrounding space and then combined with your wishes and requirements. The result will be a uniquely built kitchen, that nonetheless has the same feel and atmosphere as the rest of the house. Wood is beautiful everywhere in your home. 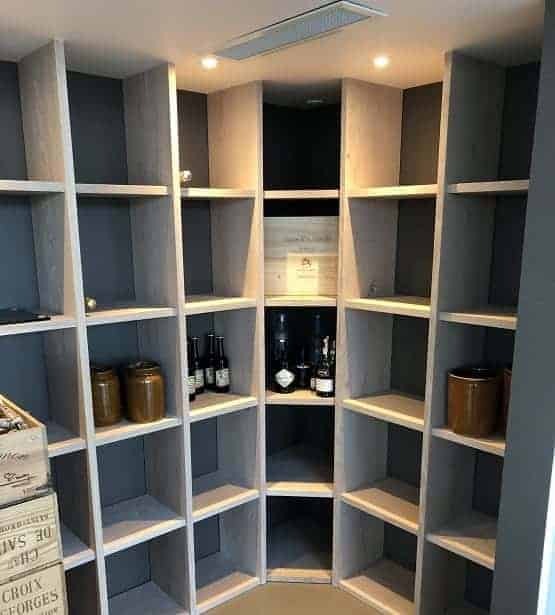 Therefore, we also make smaller furniture pieces, e.g., wooden shelves, and wine cabinets. Look around on our website and become inspired. We would love to make a unique furniture piece for your home.